The Lumascope is a versatile, compact inverted fluorescence microscope that is not only affordable but also provides high resolution images comparable to those from traditional, high-cost microscopes. Lumascopes utilize LED light sources, Semrock filters, advanced optical engineering and CMOS sensors to provide near diffraction-limited (theoretical maximum) resolution. Powered only by a USB connection, Lumascopes record photos, time-lapse series, and live videos directly to your computer. And their compact size enable working in challenging locations, including inside incubators, biological safety cabinets, and environmental control workstations with remote control and image monitoring. 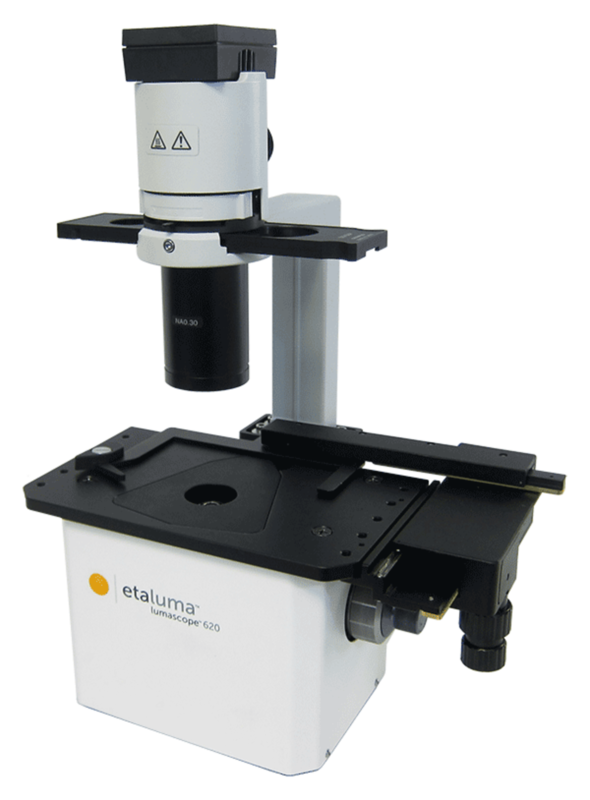 The Etaluma LS Microscopes (Lumascopes) can be used in practically any application where a standard inverted (and many upright) microscopes are used. Use the LS620 to visualize and capture high resolution fluorescence images comparable to those from traditional, high-cost microscopes. 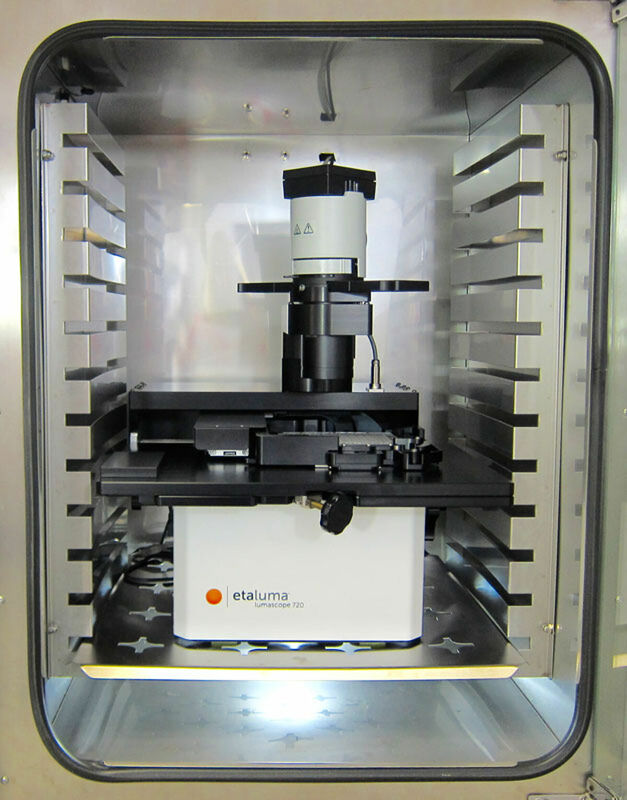 LS Microscopes utilize LED light sources, Semrock filters, advanced optical engineering, and CMOS sensors to provide near diffraction-limited (theoretical maximum) resolution. Powered only by its USB connection, the LS620 easily records your photos, time-lapse series, and live videos directly to your computer. And its compact size enables working in challenging locations, including inside incubators, biological safety cabinets, and environmental control workstations. The LS620 provides blue, green and red fluorescence imaging at low cost for a wide variety of applications! Use the LS620 to visualize and capture high resolution fluorescence images comparable to those from traditional, high-cost microscopes. 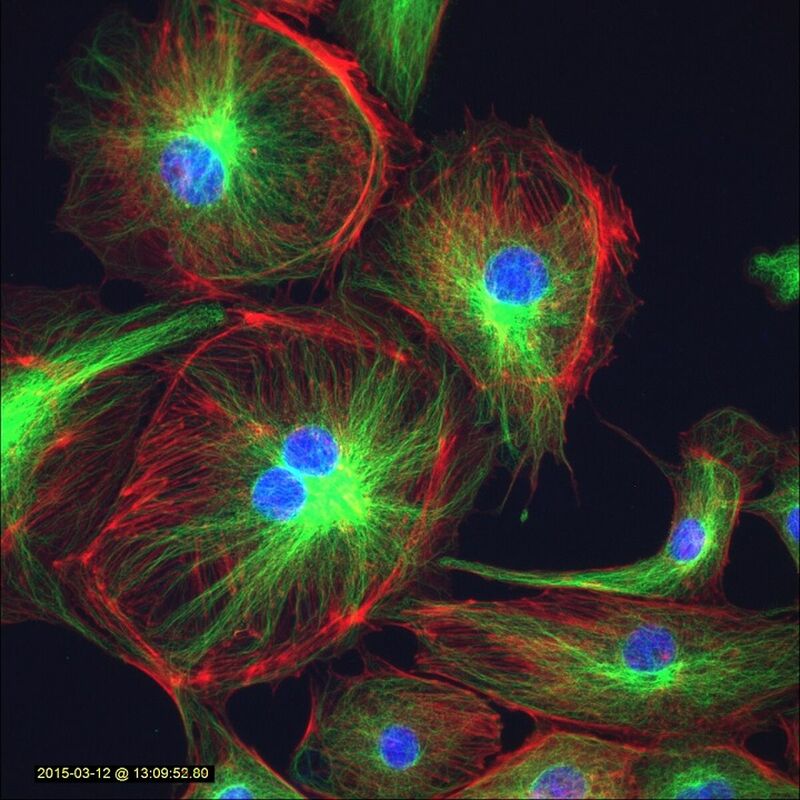 BPAE cells stained to show nuclei (blue), alpha-tubulin (green), and F-actin (red) on an LS 620; LifeTech FluoCells slide #2; 40x Olympus objective. The powerful LS720 Microscope adds walk-away automation to the many features and high performance of the flagship 3-color LS620. 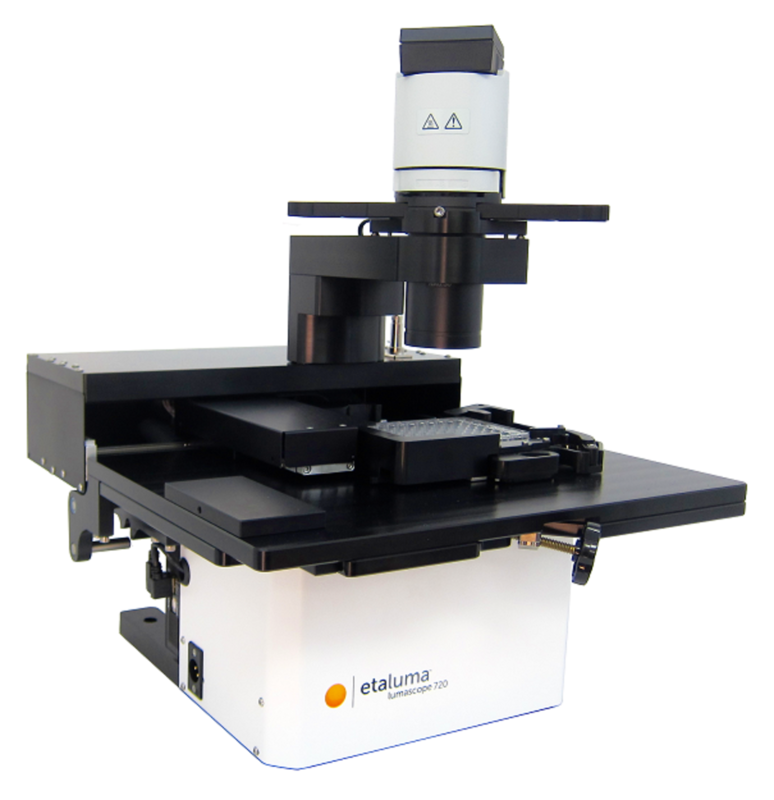 Exquisite XY motion control, motorized focus that allows autofocus and z-stacks, and easy-to-configure software combine to facilitate your microscopy experiments and high content screens. Place the LS720 in your incubator and you have a live cell imaging system at a fraction of the cost of conventional High Content Analysis systems. Whether imaging multiple fields in your flasks or 1536 wells of cells with 3 fluorophores in a 48 hour time-lapse, the LS720 offers a whole new world of automated microscopy! The powerful, new LS720 Microscope adds walk-away automation to the many features and high performance of the flagship 3-color LS620.